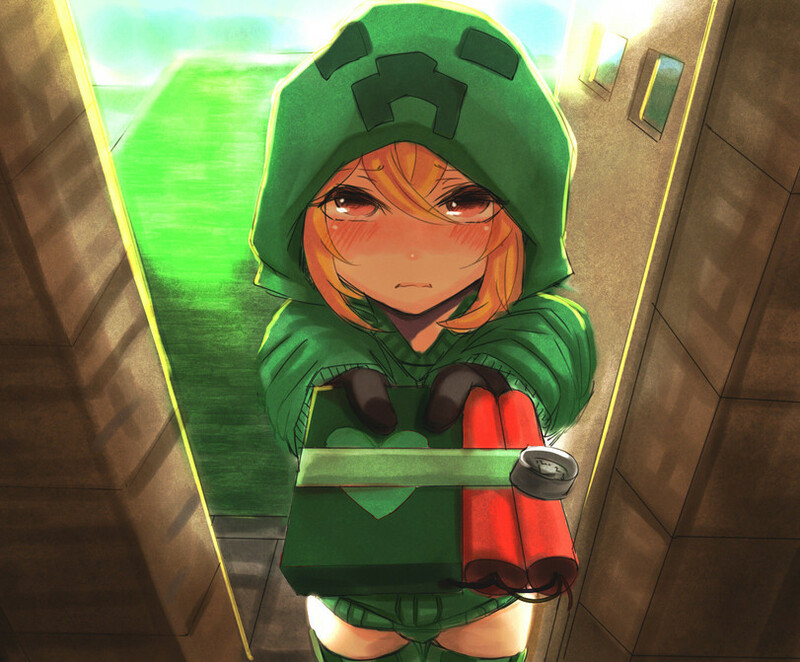 Minecraft Creeper Girl Cupa with a Gift. Take it X3. HD Wallpaper and background images in the Minecraft club tagged: minecraft creeper girl cupa.